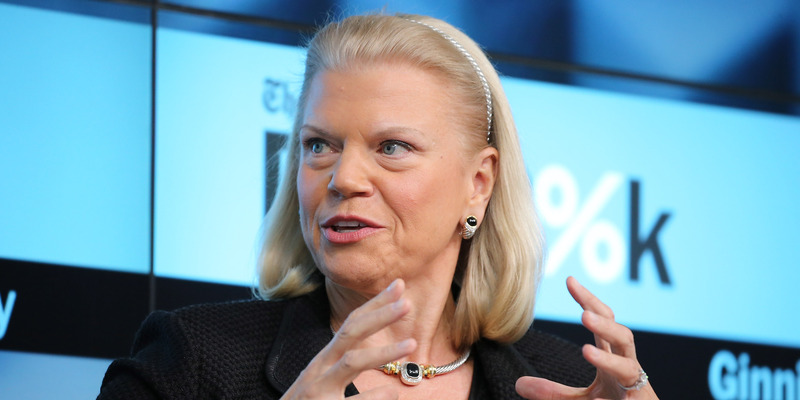 IBM’s revenues for the quarter were down 2% from the same quarter last year. Analysts were expecting $US19.1 billion but the company brought in just $US18.8 billion. Revenues for the quarter (GAAP) were $US18.8 billion, down 2% from the same time last year. This is compared to analyst expectations of $US19.1 billion. Earnings per share for the quarter(non-GAAP) were $US3.42. This is compared to analyst expectations of $US3.40. Earnings per share guidance for 2018(non-GAAP) is $US13.80. This is compared to analyst expectations of $US13.80.